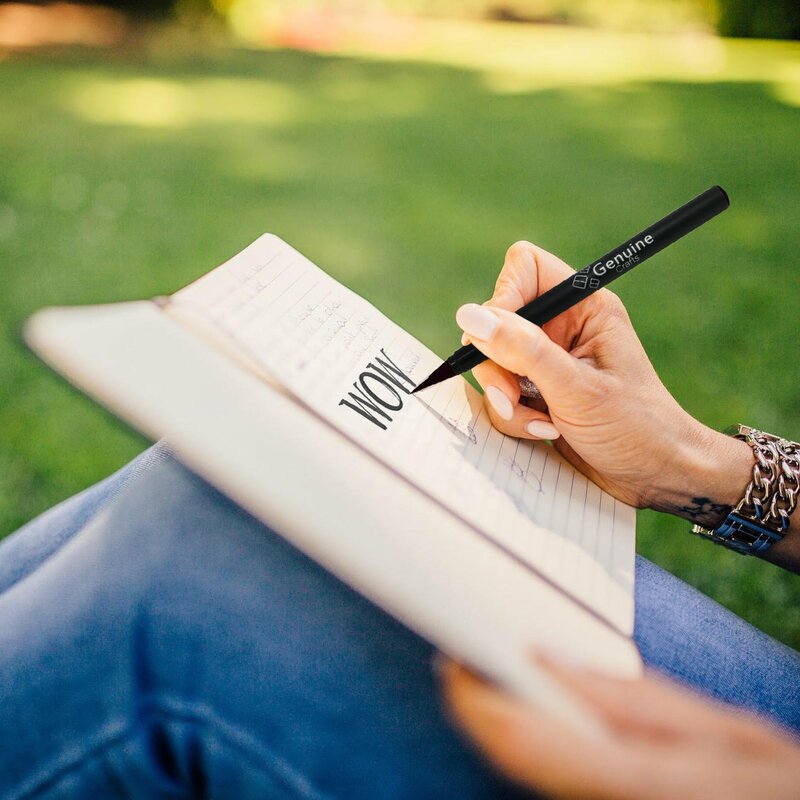 High Quality – Each pen is carefully assembled with attention to detail and quality. Recent updates ensure leaking pens are a problem of the past. 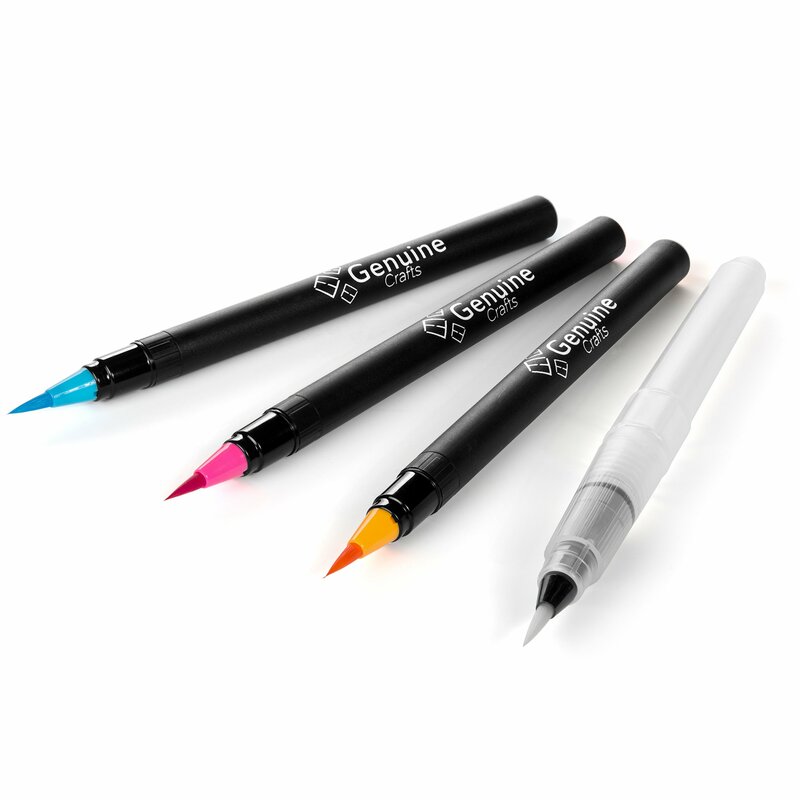 With our new watercolor ink formula, you can expect even more vibrancy and blend-ability. Artists worldwide rely on Genuine Crafts to create their masterpieces. Great Value – This collection includes 20 brilliant watercolor pens, 1 bonus blending water brush, and is beautifully packaged to inspire. Makes a great gift. 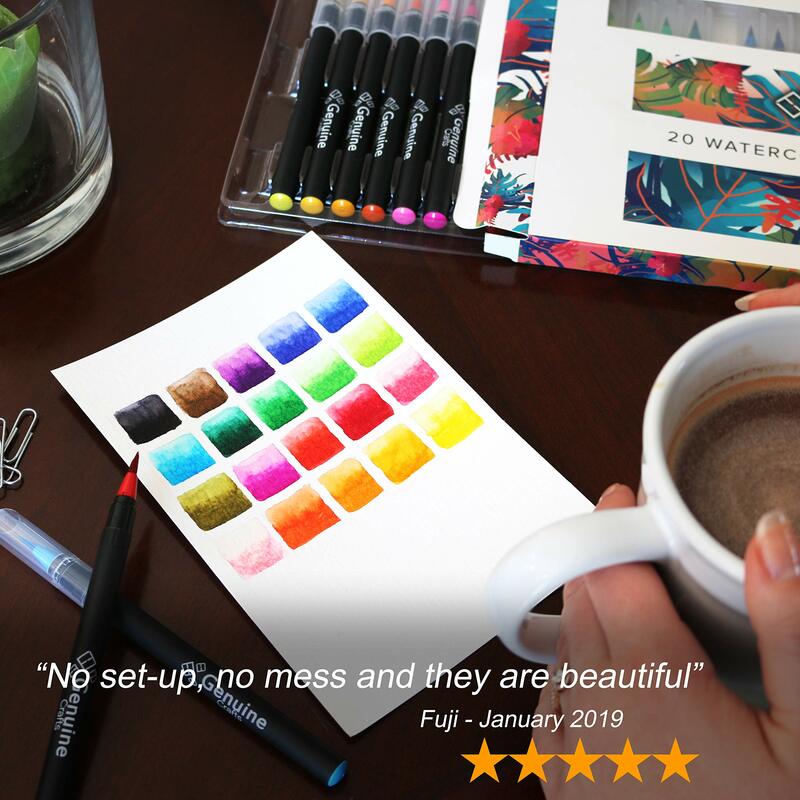 Safe – Our watercolor paints are washable and non-toxic. Offering peace of mind during arts and craft time. 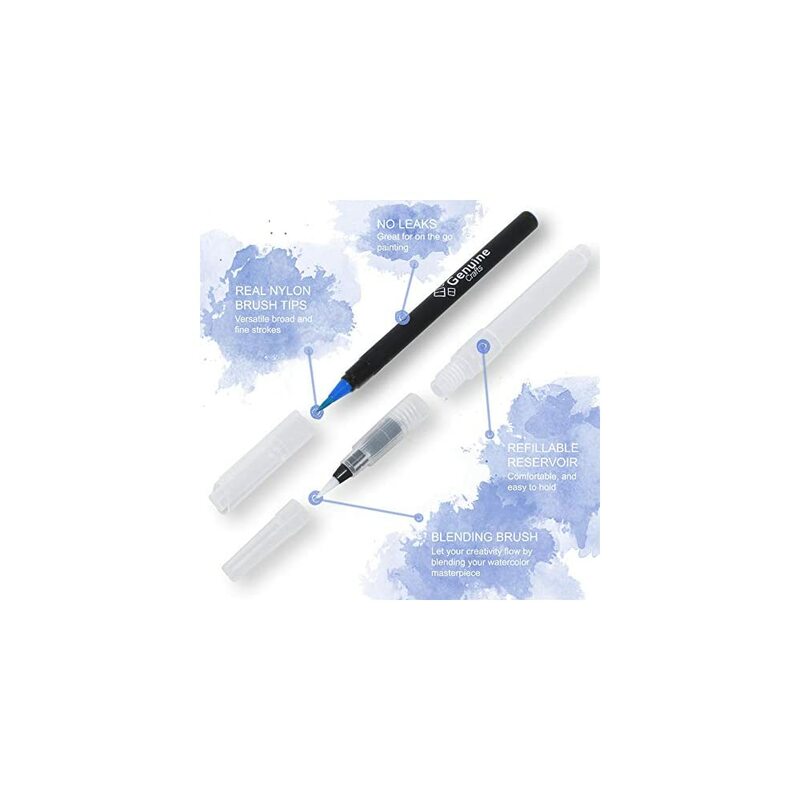 Easy To Use – This innovative set offers all of the perks of traditional watercolor painting with the ease of a hassle-free, pre-filled pen. It’s so easy to use. 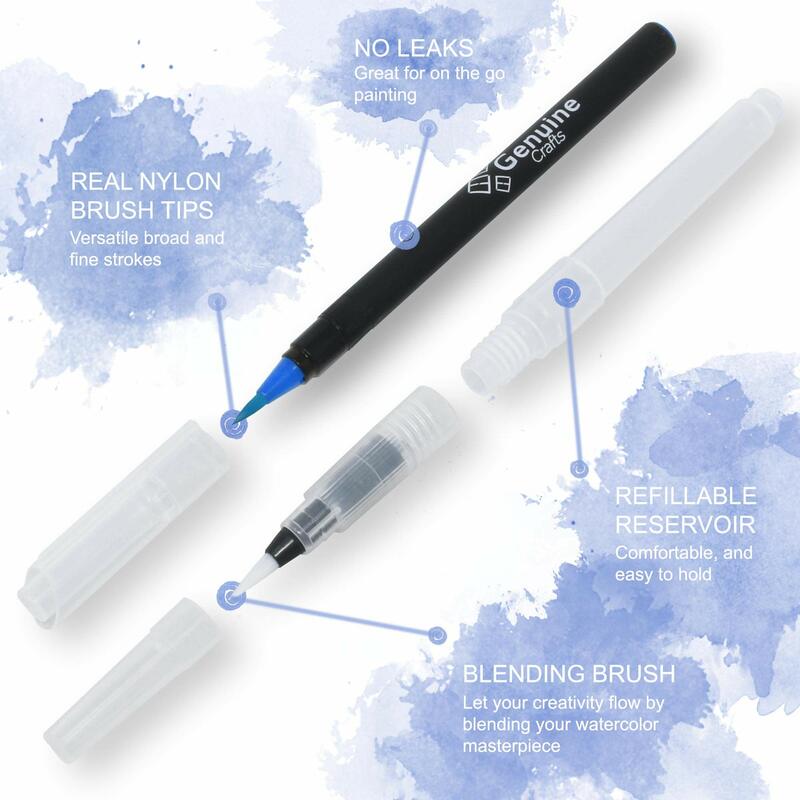 The soft brush tip allows for fine and broad strokes with amazing blend-ability. 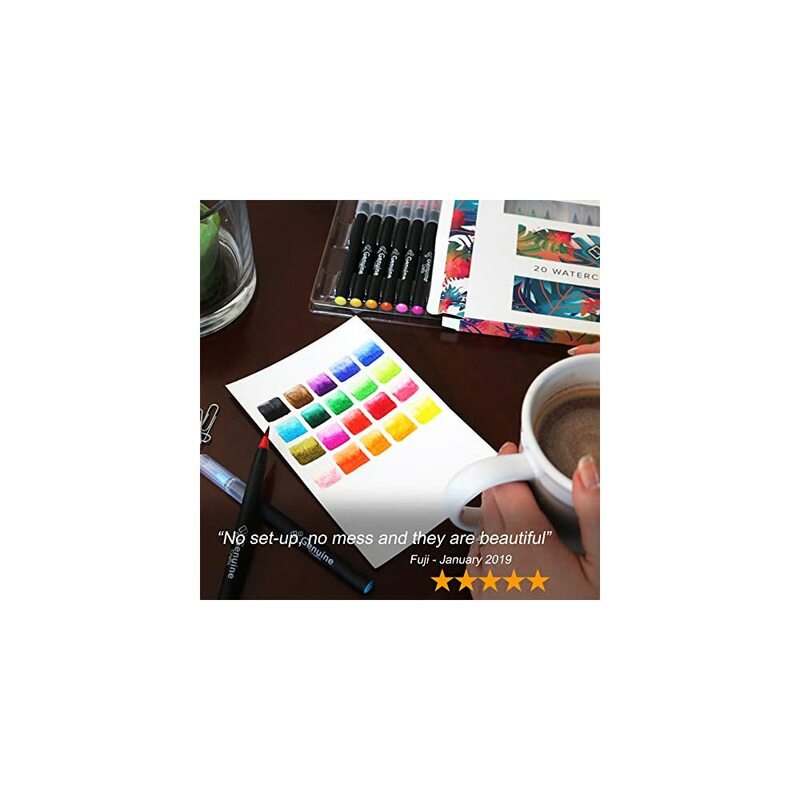 Perfect medium for the novice or experienced artist. Convenient – No more time wasted setting up or cleaning up painter pallets, paint tubes, brushes and water basins for a project. 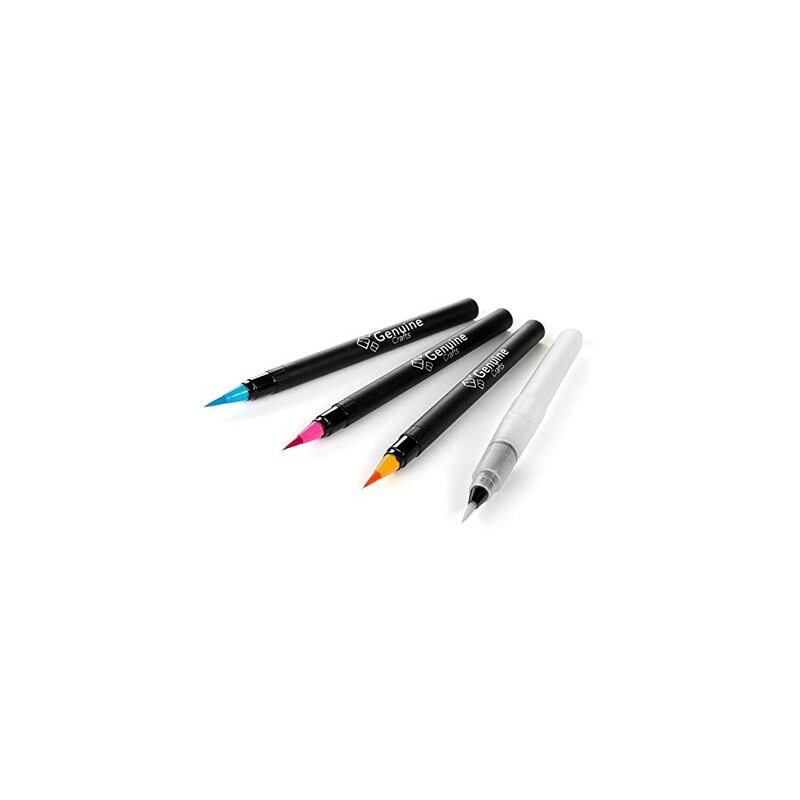 These pre-filled brush pens are ready to be used on your next watercolor masterpiece, with the click of a pen cap. 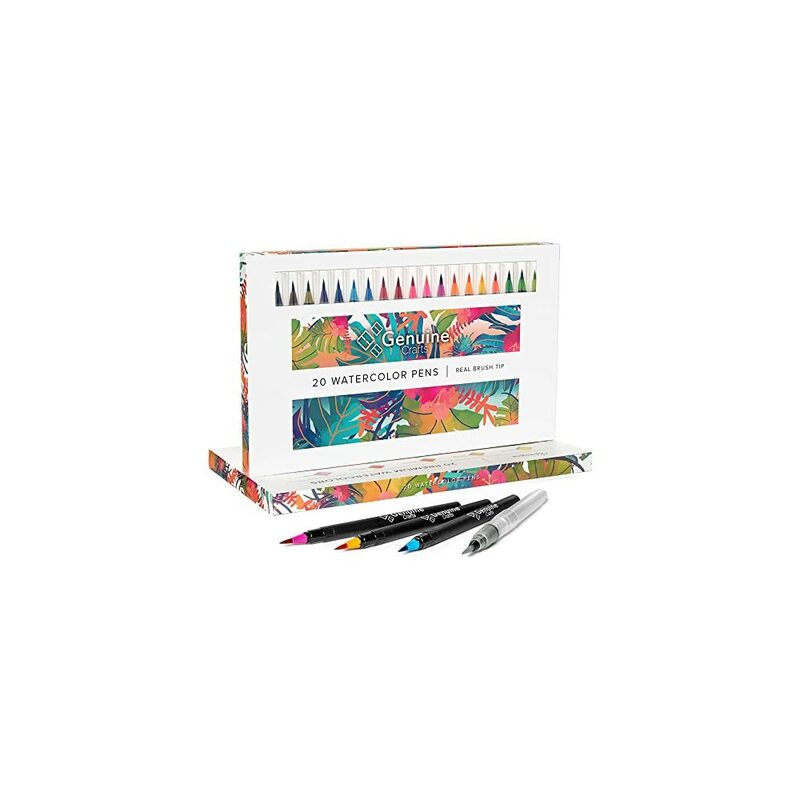 Wonderfully portable for art on the go. Versatile – The possibilities are endless. 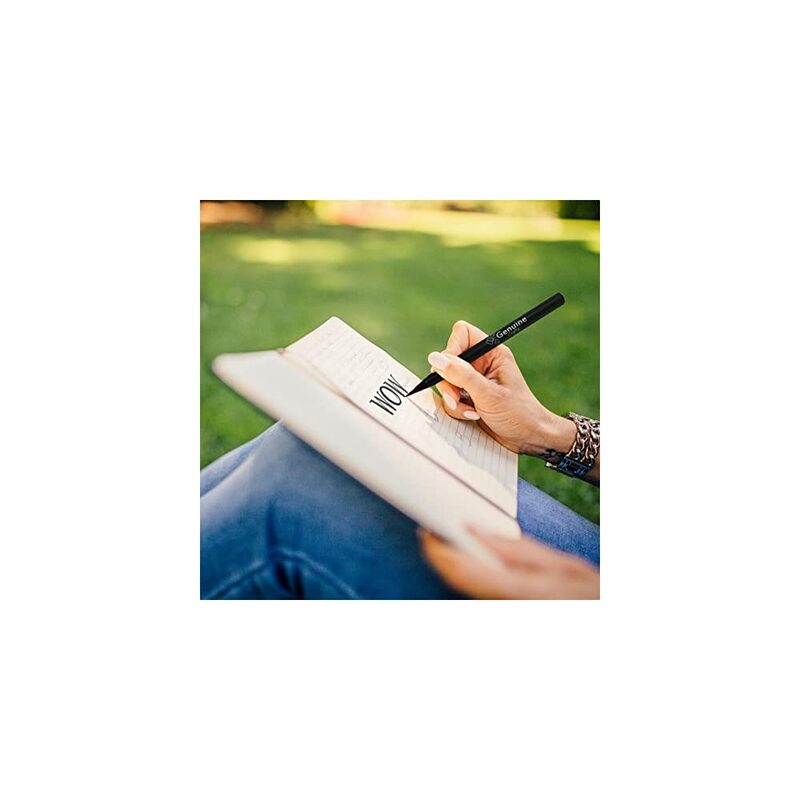 Use on projects such as calligraphy, free form water color, Easter eggs, manga art, comics, paint by number, adult and children coloring/sketch books and more. Satisfaction Guarantee – We stand behind our products with a 100% 30 day money back manufacturer guarantee. 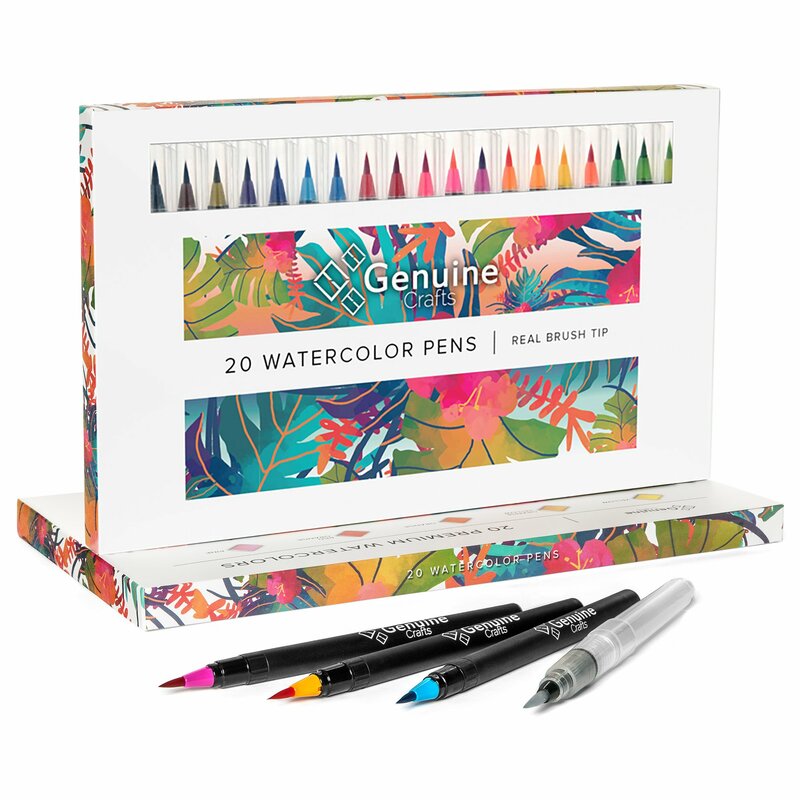 I love these water color pens! Great price!